Investors/Builders and or handy man! Fabulous opportunity to take over a newly constructed addition that has professional plans overseen by Engineer and done with City permits. This 1212 SQ. FT. addition h as a fabulous open floor plan with 3 nice size bedrooms with a large loft upstairs ideal for home office and or a place for kids to play. Construction framing passed, needs painting, flooring, interior doo rs and finished carpentry. Kitchen cabinets on site just need to be installed. Plans available to view and call me for a person tour and or more details. This home is in a great central location with a hug e South facing backyard that just needs some yard work and would be a gorgeous property. 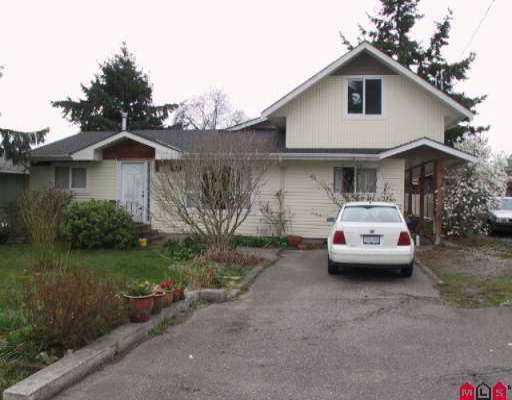 Has lane access and would accommodate a detached double garage. Nothing but opportunities for the right person. If y ou don't have to ability to finish, I have contractors that could provide prices and manpower to finish. Call me for more details. Barbara Ann Kisiloski (604) 538-2125 and/or Sandra Perry (604) 531-4000.